Heeft u een vraag voor Wheel Garden Riverside? 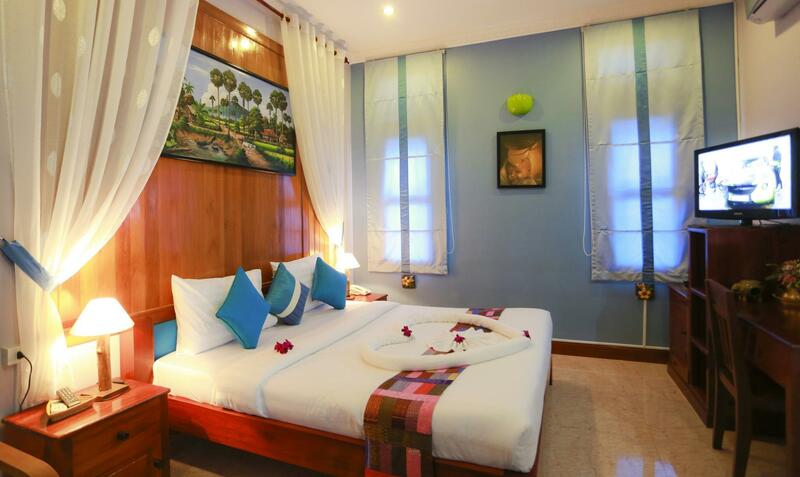 Goed gelegen in Sala Kamreuk, is The Seda Villa het ideale vertrekpunt voor uw excursies in Siem Reap. Het hotel ligt niet ver van het stadscentrum: de afstand is ongeveer 0.2 Km en het duurt, over het algemeen, ongeveer 10 minuten om het vliegveld te bereiken. Dankzij de praktische ligging, biedt de accommodatie eenvoudig toegang tot alle belangrijke trekpleisters van de stad. De faciliteiten en diensten die door The Seda Villa worden geboden, garanderen een plezierig verblijf voor gasten. Terwijl u in deze geweldige accommodatie verblijft, kunt u genieten van 24-uur roomservice, gratis wi-fi in alle kamers, 24-uur beveiliging, dagelijkse schoonmaak, cadeau-/souvenirwinkel. The Seda Villa beschikt over 11 gastenkamers. Deze zijn allemaal smaakvol ingericht voor optimaal comfort, met voorzieningen zoals plasma tv, kledingrek, oploskoffie, thee, gratis welkomstdrankje. De accommodatie biedt geweldige recreatiemogelijkheden die uw verblijf onvergetelijk zullen maken, zoals boten, zwembad (buiten), vissen, wellnessfaciliteiten, massage. 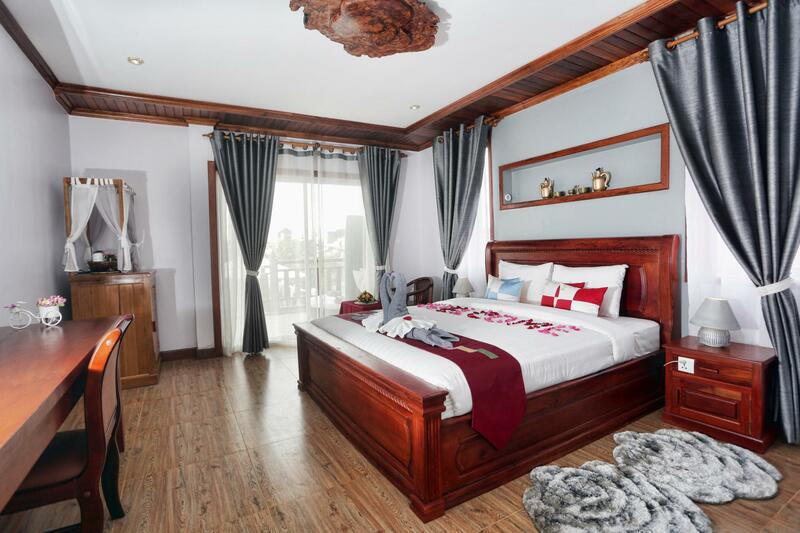 The Seda Villa is een ideale verblijfsplaats voor reizigers die charme, comfort en gemak in Siem Reap zoeken. Location near to Pub Street and Art Market, nice breakfast and friendly staff. Not sure is it because we staying at ground floor, can smell sewage when we flush toilet bowl, highligted to the staff but they cant do much thing only provide us some perfume. They lack manpower/staff & most of them could not speak or understand basic english. The restaurant staff could not even explain the menu/ingredients in a dish. No ELEVATOR. We have big luggages & was given a 3rd floor room! Moreover, I paid in advance for a Deluxe King Bed with balcony, I was told they only had one, and my room was given to another guest! We were given a room with a bathtub with a nonworking heater! How could you immerse in a cold tub?? Would absolutely NOT RECOMMEND this hotel to anyone. 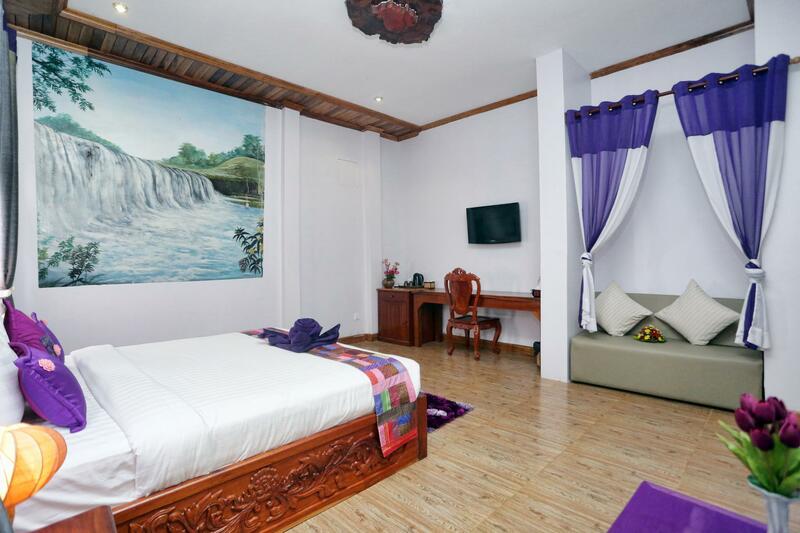 There are cheaper and better hotels in Siem Reap for less, search again. The rooms are spacious, breakfast is filling, the staff are all courteous. Only cons is that the lights of one of the rooms are not switching off but was fixed the next day while were on tour. But overall it was a nice stay and more likely I'll stay here again when I come back. Staffs are polite and helpful, but the Villa is a little bit of small. The bathroom so wet after taking the shower. The light in the sitting room is not enough bright. The Villa did not provide two beds room for us as we ordered the booking. On the whole, it was very quiet and comfortable in the Villa. The rooms were great! We booked the deluxe king bed room, which I believe was the best room there. It was just like the image, spacious, luxurious and cosy. You can watch the sunset from your room and there is a comfy outdoor seat available too! Apart from the great rooms, the staffs were amazing too! They were polite, welcoming, helpful and understanding. 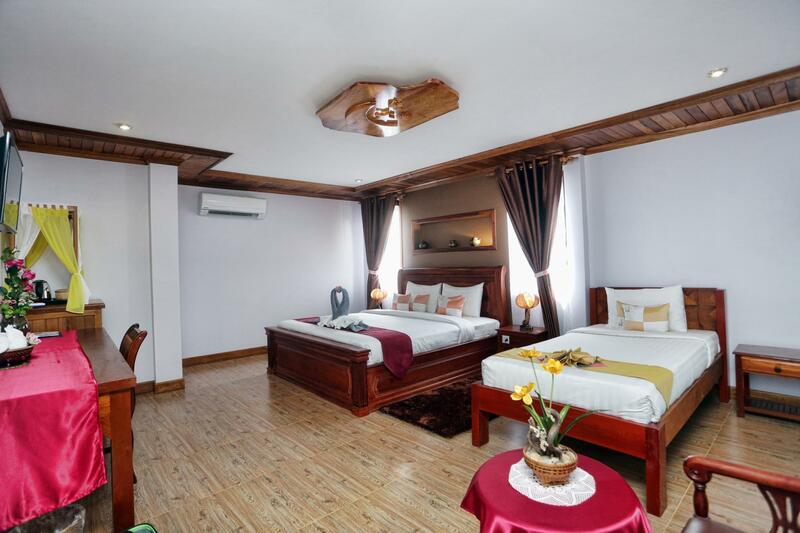 Very nice hotel,very nice stuff,and we love the swimming pool so much.100% to suggest this hotel.the old market only take 10 minutes to walk.it also very near by the ankor wat. Just average. Small pool and good breakfast. Great location. Modern and newly built complex that contains only 12 rooms. Various levels to the complex allows you to find your own space to read or for a quiet drink. Staff bent over backwards to make our stay comfortable . One of the staff members, Kosal ,has been a tour guide through the Temple complexes for a decade and should be employed for your daily tours. Great people, nice pool to relax in at the end of the day..clean rooms and substantial breakfast ... much more than we could have hoped for ! Close to art market and eateries in a more laid back part of town. We walked to night market / pub street triangle or had hotel organize Tuktuk to restaurants further away, no hassle. Enjoyed the pool for those hot afternoons. Friendly host. Really nice hotel. The breakfast is delicious, service is so good. And we enjoyed the swimming pool! Location is excellent, very close to old market, very convenient!